We are always pleased to hear from the people that use our guide. If you have a suggestion or comment please get in touch. 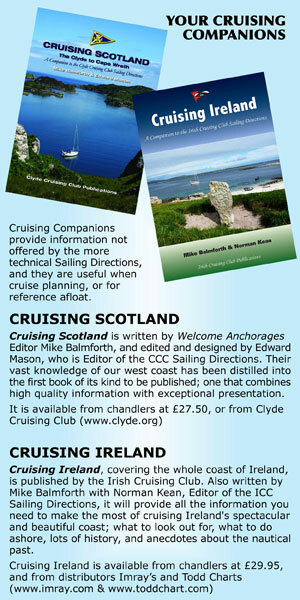 Complete facilities guide for mooring and berthing at locations on Scotland’s West Coast, East Coast, Northern Isles and Ireland’s Northern Coast. If you are interested in advertising your business in our DIRECTORY of yacht services then please read our full rate card with advertising specifications then get in touch.